Instrument Projects — Gamut Music. Inc. 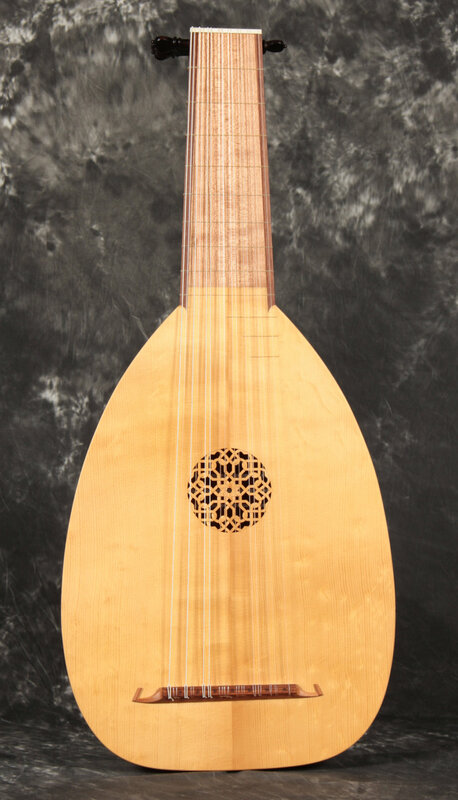 There is nothing better than an eight course Venere model lute and here is one that we completed for a customer in August of 2016 with a cherry back, cherry neck and head, cherry fingerboard with rosewood edges and Englemann spruce front. We don't get an order for a Hoffmann model lute very often, so it is always a pleasure to finish one and get another out in the world. 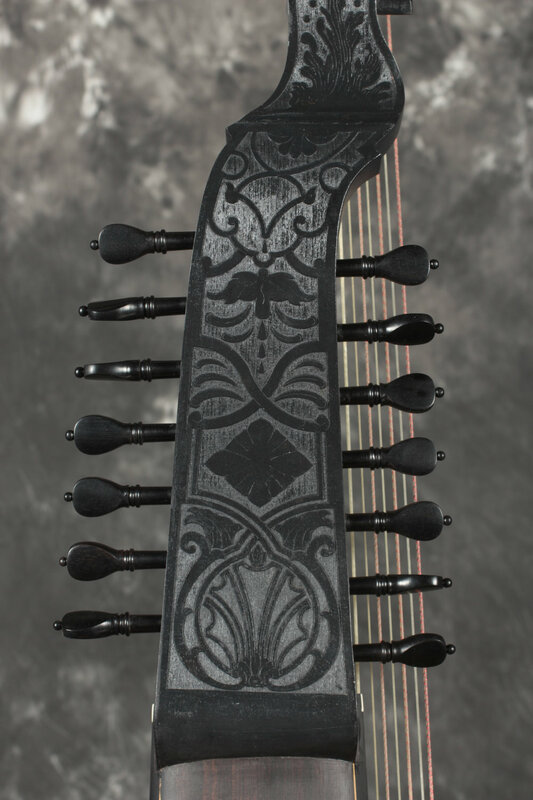 The tone of these instruments is sweet and lingering; a beautiful complement to Baroque lute music. This instrument has a lacewood back with holly spacers and a figured Italian Alpine spruce front. 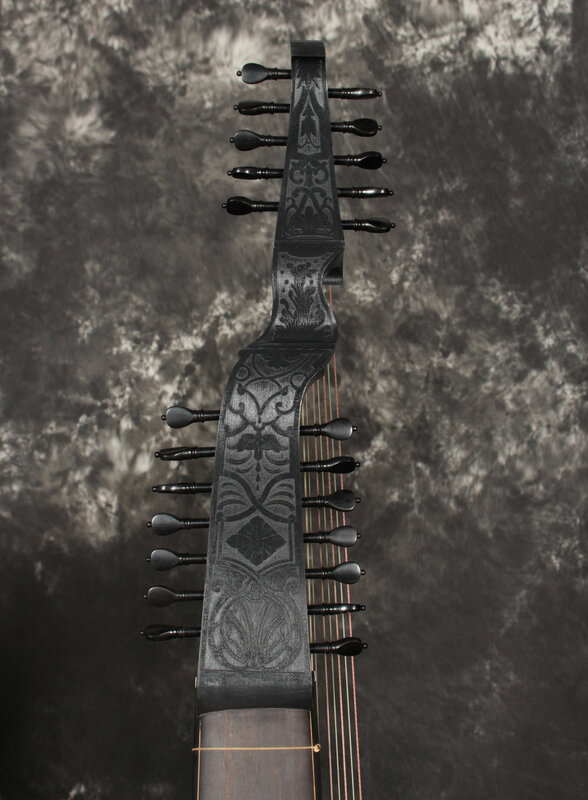 The neck is spruce with ebony veneer neck and fingerboard and the head is maple blackened with milk paint. Completed August of 2016. A customer ordered a Sellas wedding-cake guitar rose for an instrument that is being made. 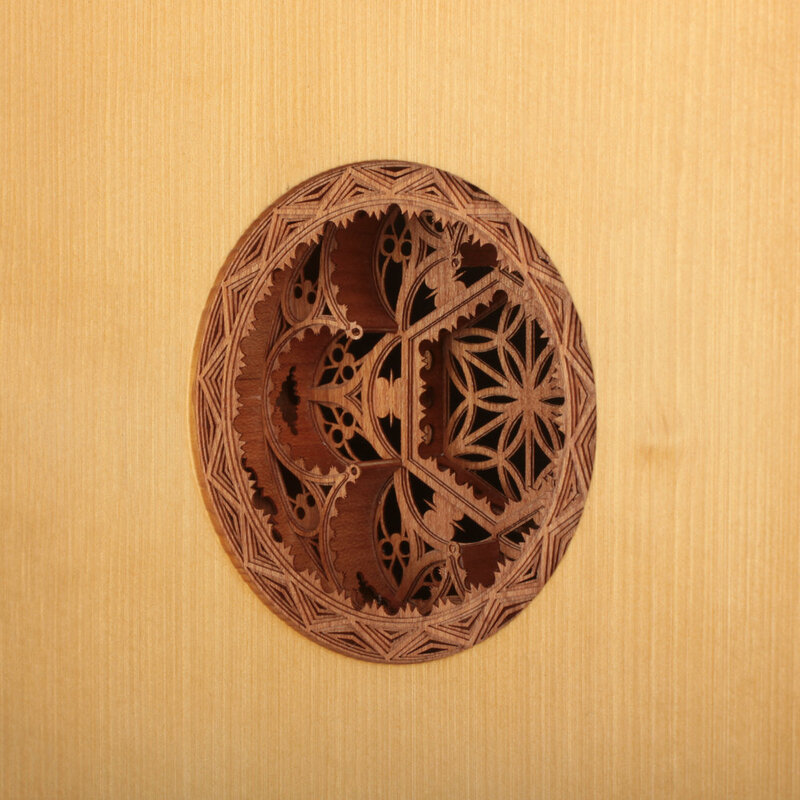 The request for the rose to be made out of cherry wood was unique, but Jake rose to the challenge resulting is a stunning decoration unlike any other. 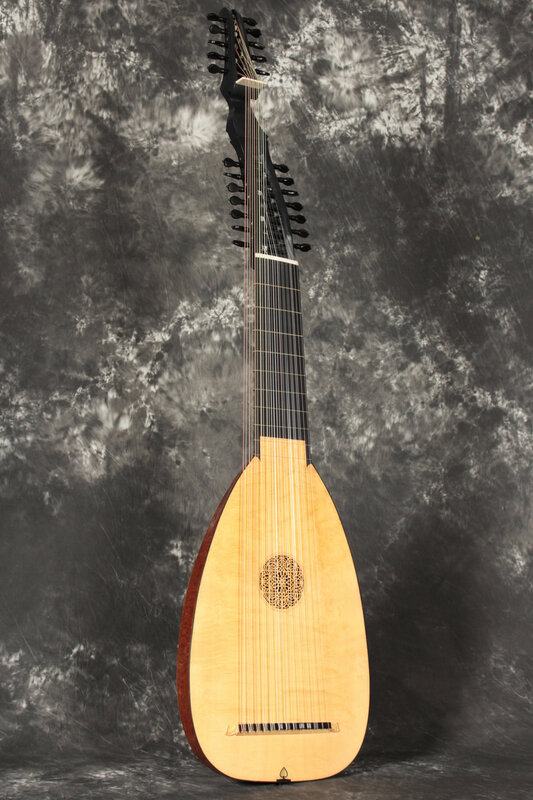 A customer came to us with specific needs for an archlute. 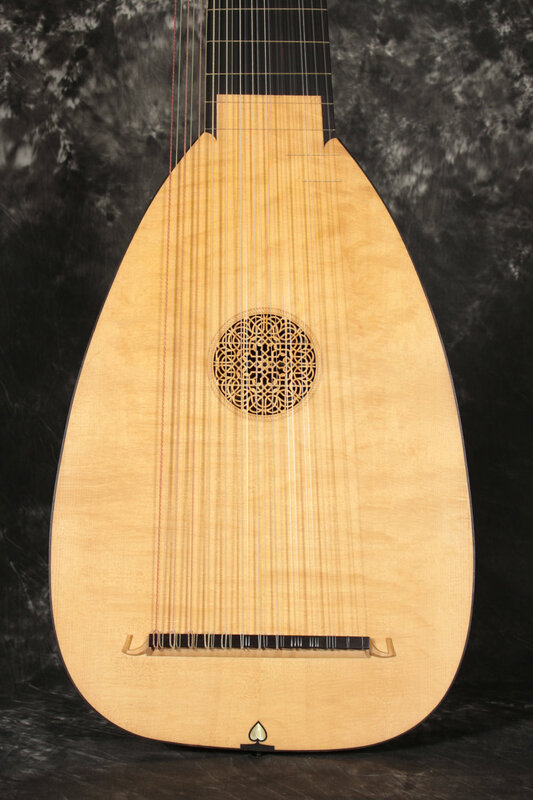 Together, we were able to incorporate the features he wanted by using a Venere body scaled to a 61cm string length and divided into 21 shaded yew ribs. 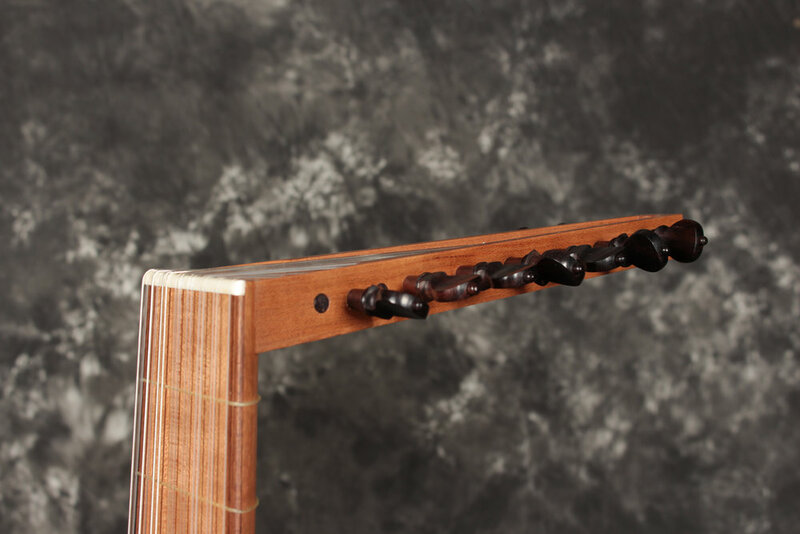 The extension is 100cm and double courses are used throughout, except for the top string. A liuto attiorbato with a Venere model, 61cm body and 120cm extension, fourteen double courses. Twenty one shaded yew ribs, Italian Alpine figured spruce front, ebony veneered neck and extension.